Spell Saga has a storied history of limited edition cards, clothing and various official merchandise. These rare and oft-times unique items have been part of the game’s identity since the very first 2013 Fundraiser. 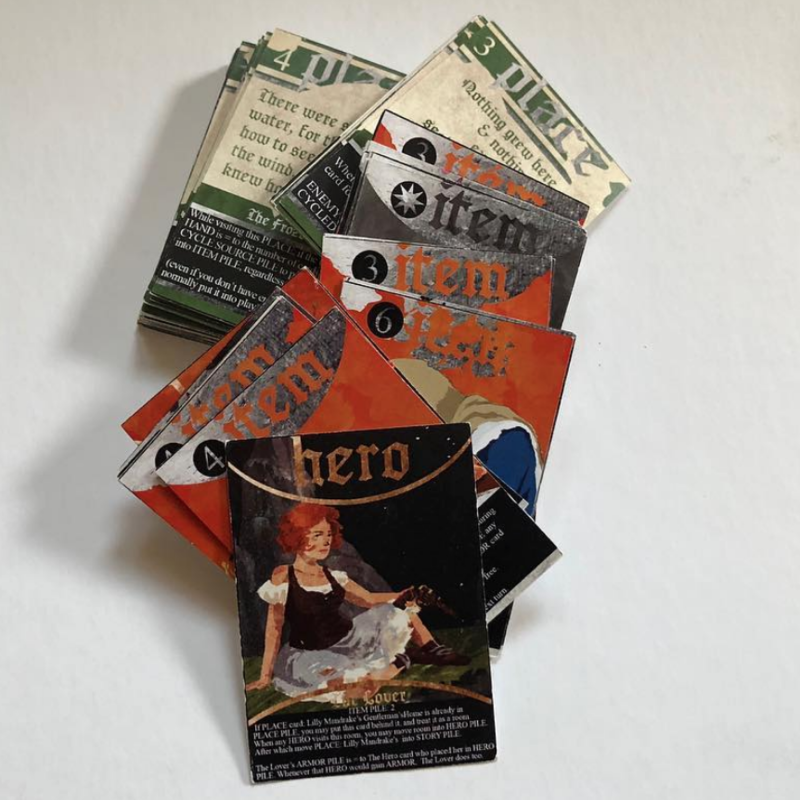 Recent advancements in print-on-demand manufacturing have only furthered the treasure trove—though SUBHEATHEN & ATWEC have been fairly careful in making sure limited items stay just that—going so far as to create one-of-a-kind holofoils dolled out at random among various fans and patrons. Other than special cards, Spell Saga is known for it’s Weatherguard Level Prize Packs—the firsts of which were made available during the 2014 Fundraiser. 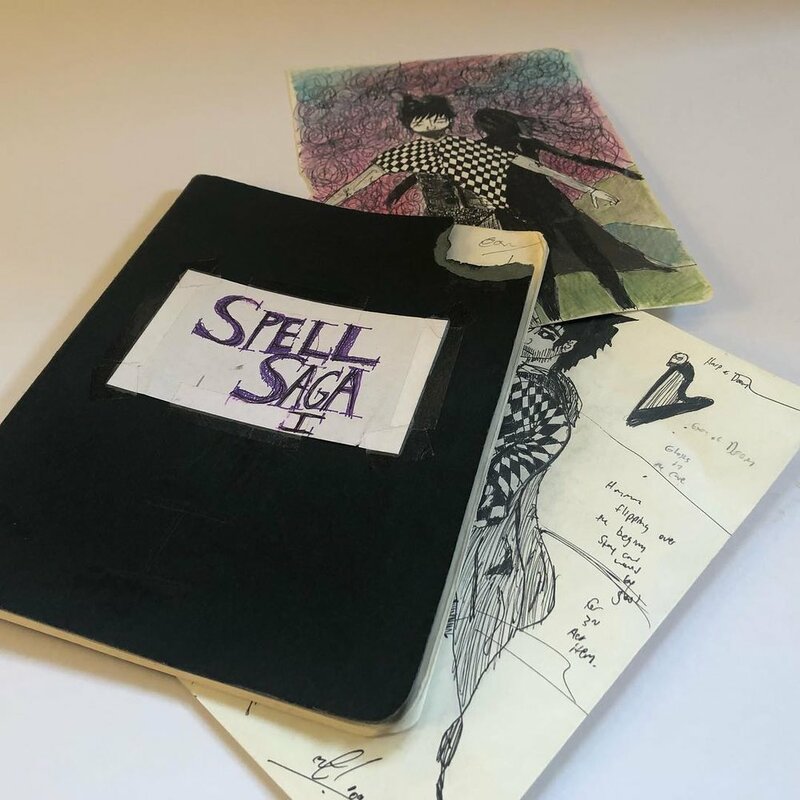 These tended to be specially boxed editions of play test versions of the game, from the first design journal from 2009, to the original index cards of each subsequent redesign, the Spell Saga design vault has made its way across the world to the homes of caring fans. Merchandise in the form of play mats, binders, bags and clothing continue to be produced, some of which are more limited in others. A selection of Rare Items gifted to Weatherguard member Solo Story Gamer from the 2014 & 2015 Fundraisers. 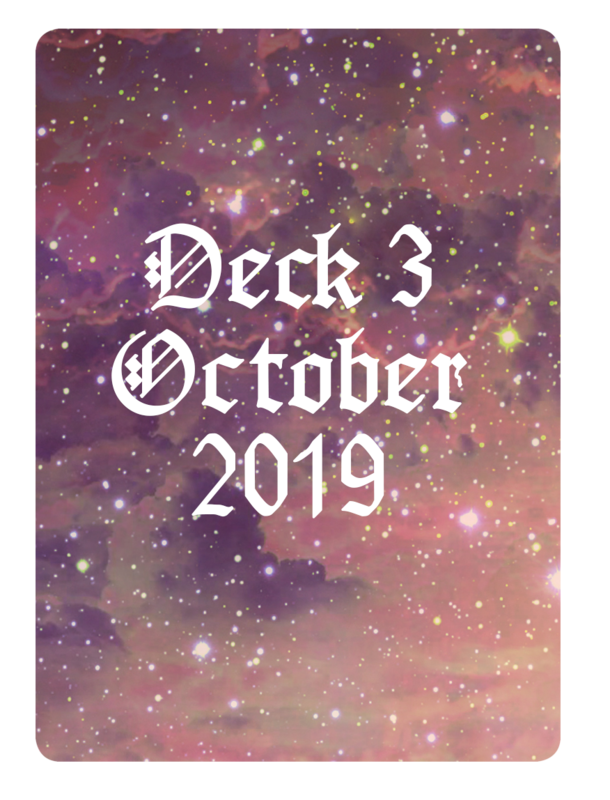 Rare cards are categorized by the design upon their back (ie which Spell Saga deck they should be used with) and are often further divided into various special sets known as Spell Saga Collectible Content. You can find card galleries of each by clicking the corresponding card backs below. 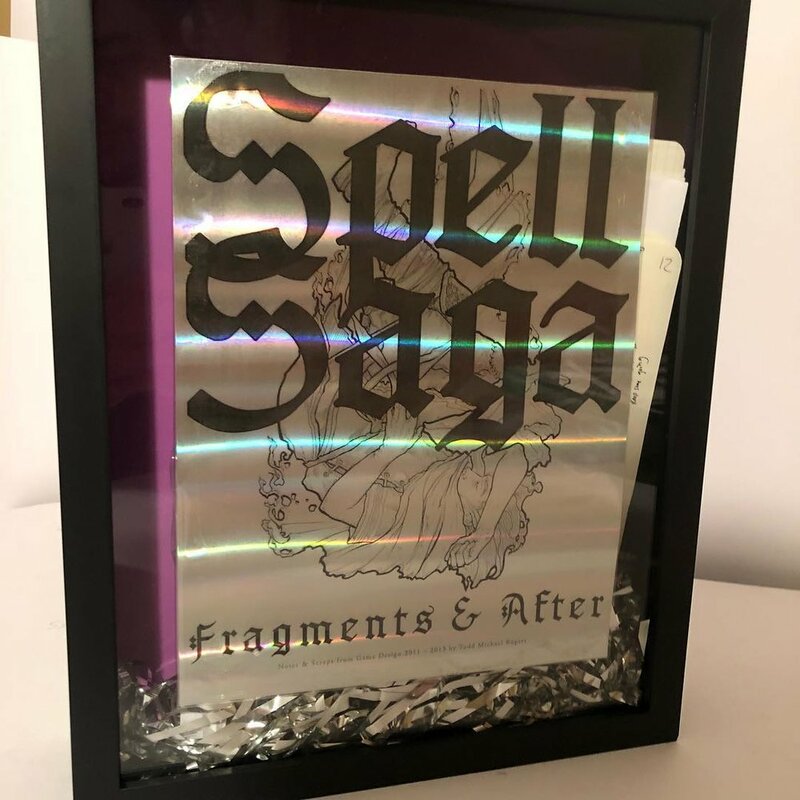 Rare merchandise from Spell Saga various fundraisers can be seen by scrolling below. Weatherguard Level Prize Packs were purchased or given freely during the 2014 & 2015 Fundraisers. These WGPP’s were made up of various prototypes of game design. 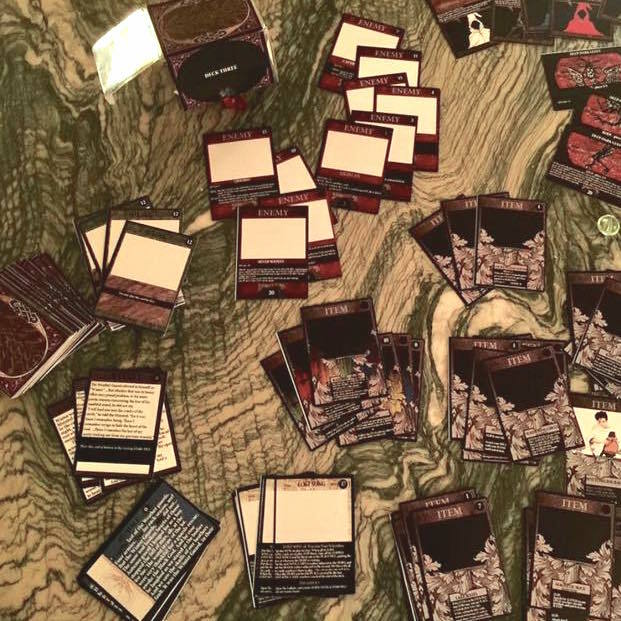 These were either index card versions of the game, or early-Photoshopped attempts with rough mechanics (some sleeved and others not). Each was presented in a limited run matte finish box, & included a letter which featured a story about the prototype. The Weatherguard Black Magic level contains the following items: a piece of tape with dust collected from the notes of Spell Saga’s development, a key from the computer Spell saga was first Photoshopped upon, and a torn piece of the jeans Todd wore every day back in those horror years. These sketch cards were provided to 2014/ Fundraiser backers who had spent over a certain amount of $$$. Lauren illustrated them using metallic inks on the backs of gold holofoil card stock. These are pretty rare.